MSC Cruises is offering a range of added-value incentives to encourage early booking. The line is offering free parking at Southampton, free coach transfer from anywhere in the UK and a flat-rate £50 for regional flights. MSC has also introduced a number of “English” touches to its cruises which leave from the UK. These include: British dishes, tea and coffee making facilities and free tea or coffee at the end of meals and a dedicated UK representative on board. 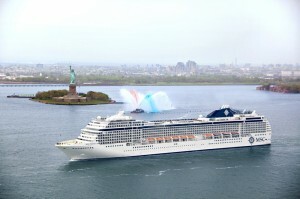 Next year the company is re-positioning to Southampton and will run nine itineraries to Spain from summer 2011. Libutti said the company was “100 per cent” ahead in terms of forward bookings as this time last year, with 2,500 bookings just for the Spanish itineraries. He also confirmed the delivery of the line’s newest ship – Fantastica in June 2012 – which will be the same class as Splendida, at 330m. MSC has so far raised £500,000 from passengers for its nominated charity in Brazil.